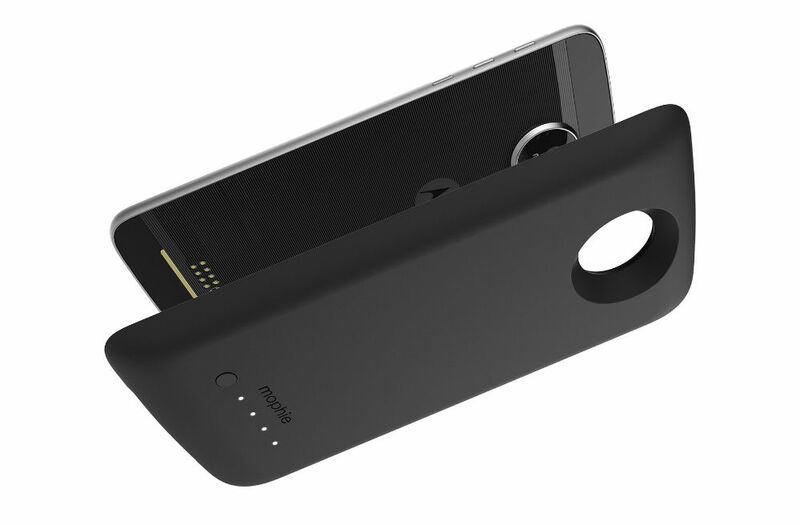 Mophie Is Bringing The Juice Pack To The Moto Z Lineup! Discussion in 'Android News' started by DroidModderX, Nov 17, 2016. Mophie has become a leader in power packs for both android and iPhone devices over the past several years. Their battery cases essentially double your battery life. I have been able to get well over 24 hours using their cases. They are finally bringing their Juice Back to the Moto Z lineup later this month. They will be selling their very own Moto Mod. The Mophie Juice Pack Moto Mod houses a 3,000mah battery. This gives your Moto Z 60% extra battery life. It will be compatible with the Moto Z, Moto Z Force, and the Moto Z Play. You can Pre-order this mod for $80 on Verizon's website right now. The mod will be shipping starting on November 28th. 3k mAh...how much weight does it add? That's a nice amount of power but you're carrying a brick. With the incipio its already making it a brick so I really don't mind at all getting the mophie one with additional almost 800 mAh power. Glad I can have some more battery life now, I seem to run through it by end of day. I just pre-ordered mine thanks for the post. However I dont get how they are only able to provide so little battery for such a large sized mod, the internal battery is much more slim and holds more power. Honestly the Incipio Offgrid is fine. My issue is the loss of NFC function with these Mods. Its a pain and looks stupid having to pull off mod to use Android Pay. Stop using Android pay. Easiest solution and I can pull my card quicker. This pack doesn't have wireless charging, just FYI.